One a day keeps slumping sales away! 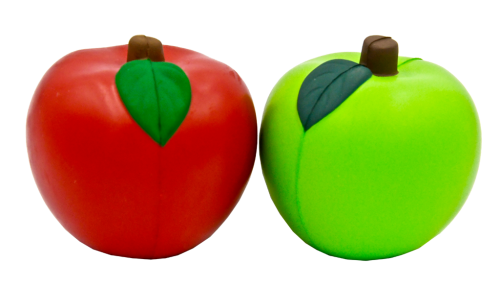 Tempt your customers with these life-like apple stress balls. The Apple is one of the most popular stress reliever shapes and can be used by just about anybody or any business. These stressballs are made of durable material and can take the crunch! Custom imprint you logo and message on the apple stress ball and use at your next education seminar, school event, as giveaway at a fair or farmers market, event or trade show. Stress balls are the perfect marketing tool for many industries such as education, health care, food service, restaurants, and agriculture. Let these fun promotional items take a bite out of the competition! Item Size : 3 dia.